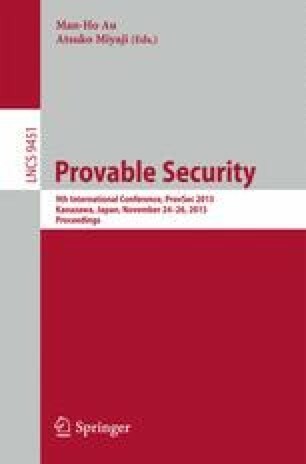 A popular methodology of designing cryptosystems with practical efficiency is to give a security proof in the random oracle (RO) model. The work of Fischlin and Fleischhacker (Eurocrypt ’13) investigated the case of Schnorr signature (and generally, Fiat-Shamir signatures) and showed the reliance of RO model is inherent. We generalize their results to a large class of “malleable” hash-and-sign signatures, where one can efficiently “maul”any two valid signatures between two signature instances with different public keys if it can get the difference between the secret keys. We follow the technique of Fischlin and Fleischhacker to show that the security of malleable hash-and-sign signature cannot be reduced to its related hard cryptographic problem without programming the RO. Our proof assumes the hardness of a one-more cryptographic problem (depending on the signature instantiation). Our result applies to single-instance black-box reductions, subsuming those reductions used in existing proofs. Our framework not only encompasses Fiat-Shamir signatures as special cases, but also covers \(\Gamma \)-signature (Yao and Zhao, IEEE Transactions on Information Forensics and Security ’13), and other schemes which implicitly used malleable hash-and-sign signatures, including Boneh-Franklin identity-based encryption, and Sakai-Ohgishi-Kasahara non-interactive identity-based key exchange. Zongyang Zhang is an International Research Fellow of JSPS and is supported by NSFC under grant No. 61303201. Yu Chen is supported by NSFC under Grant Nos. 61303257, 61379141, the IIE’s Cryptography Research Project, the Strategic Priority Research Program of CAS under Grant No. XDA06010701. Sherman S. M. Chow is supported by the Early Career Award and grants (CUHK 439713, 14201914) from the Research Grants Council, Hong Kong. Zhenfu Cao is supported by NSFC under Nos. 61411146001, 61321064, 61371083. Yunlei Zhao is supported by NSFC under Grant Nos.61272012, 61472084.